Closing date for entries: Fri 2nd Feb, Noon. Max 2 entries per person, no backlinks. The winners of Week 2 are at the end of this post. 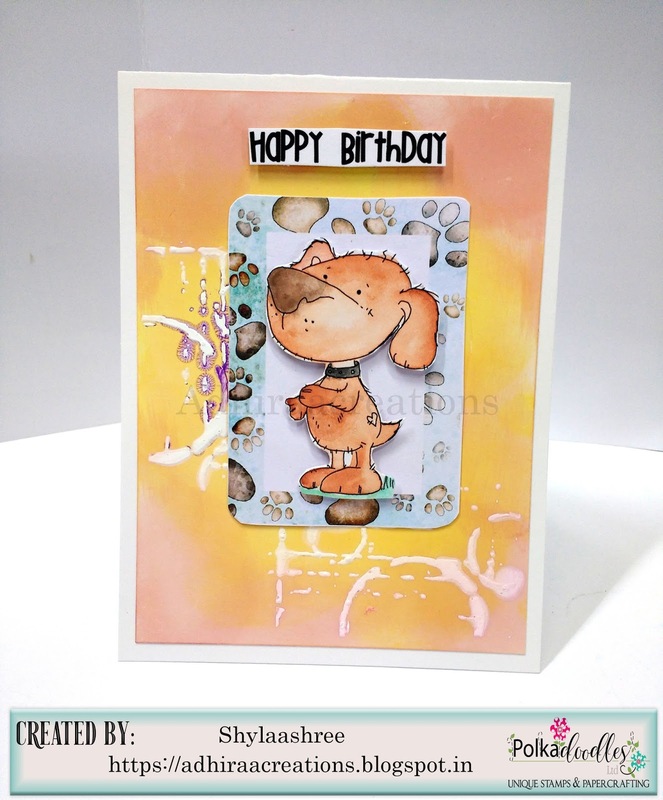 Angie J - I have used a pre-coloured image, digital image and sentiment to create my card for you. All these elements are from the gorgeous Work & Play 9 - Love & Kisses Collection. The card matt is from my stash of patterned papers. Its me, Tina: For your inspiration I have created a small bag with a heart as a handle. The pretty girl in bikini is the image "Eden Window" from the Big Kahuna Digital Craft Bundle . 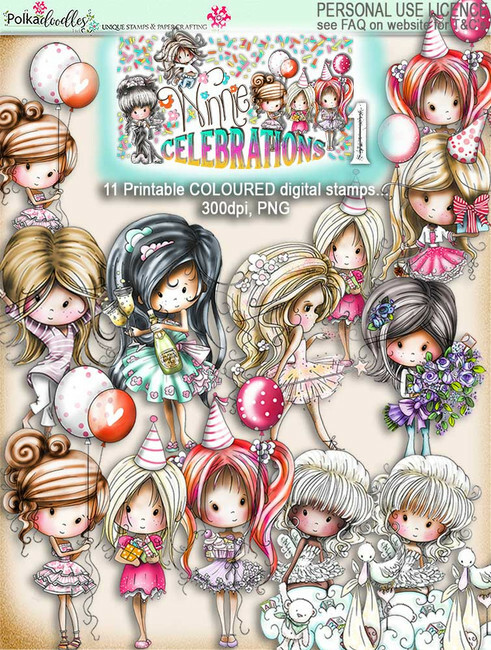 In it you will also find lots of digital paper, beautiful ornaments, Tags and frames, as well as sentiments. Colored with Polychromos. Stephanie for my mixed media canvas I used the January Pocketfuls of Love digital stamp that I colored with alcohol markers and digital papers from the Celebrations 2 new release. 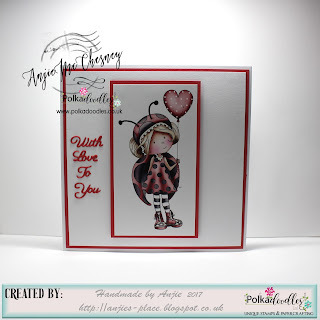 Ania: for this challenge I used Wedding Night/Saucy digi that I placed on a heart-shaped card base, all ready to give to the loved one for Valentine's Day that is approaching soon. This digi is from Work and Play 9 - Love and Kisses bundle. Anjie - Well when I hear hearts I always think of our cute Lily Love Bug. I've kept this really simple as it is for my hubby. Please email us HERE, quoting the following code PD0wk2001 to claim your prize of $10 worth of downloads from the digi store. Claims must be received by 07/02/18, please refer to Challenge rules at top of blog. 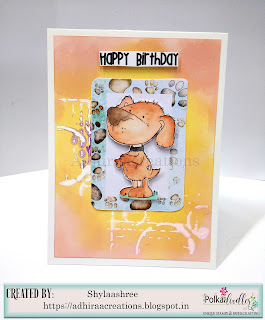 We'll be back on Friday 2nd Feb with a brand new challenge, but make sure you head over to the DIGI CHOOSDAY CHALLENGE HERE where you can also join in their weekly challenge too.. Closing date for entries: Fri 26th Jan, Noon. Max 2 entries per person, no backlinks. The winners of Week 1 are at the end of this post. Ruth: I've used Winnie Chic cutting die for the body, background hair, hairband, dress and present. For the hair bow and shoes I used Miss Winnie cutting die and for the top layer of hair I used Winnie Ballerina cutting die - all of the dies are compatible and interchangeable with one another so endless possibilities! I used the skin tone card from the card stock pack and the hair is card from my own stash along with glittery card and half pearls. Anna - For this birthday card I used Horace & Boo collection. I colored this beautiful digi with my Prismacolor and I attached it on a sheet of acetate ... in the back I created a landscape with a background present in the bundle. 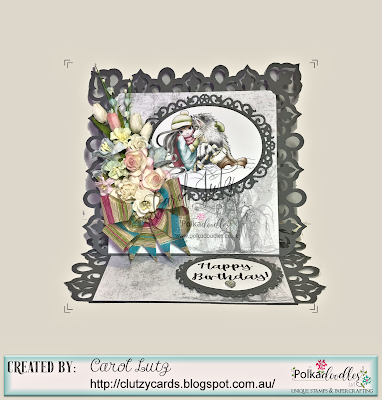 Carol - I've made a birthday card featuring a wintery image and background paper from Octavia Frosted Winter collection and added a sentiment from Winnies Sugar Sprinkles Sentiments collection. 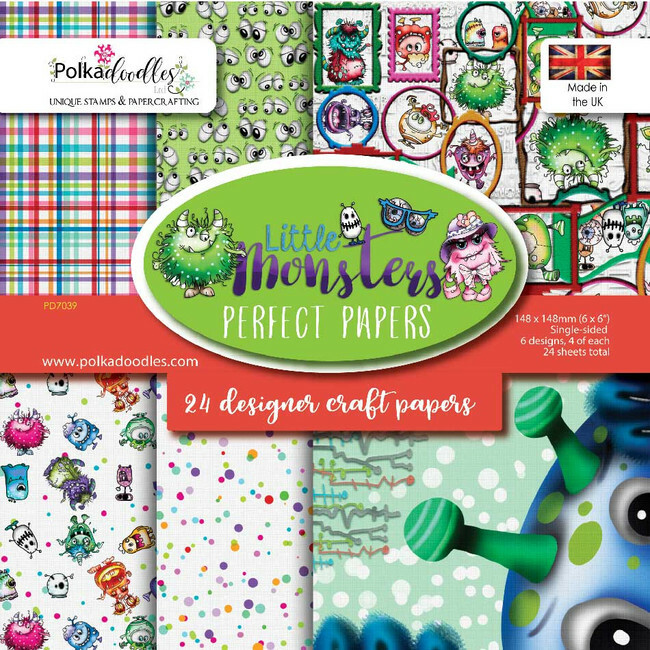 I really love how the Polkadoodles collections all work together, so you always have the perfect paper, image and sentiment for any occasion. 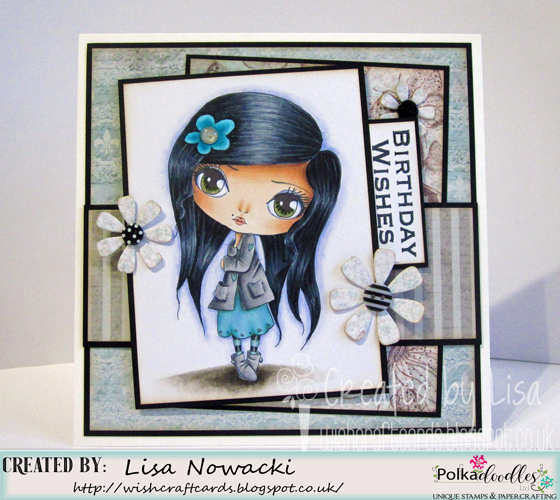 Lisa - I've used a gorgeous January image called Heart on Your Sleeve, coloured with copics. 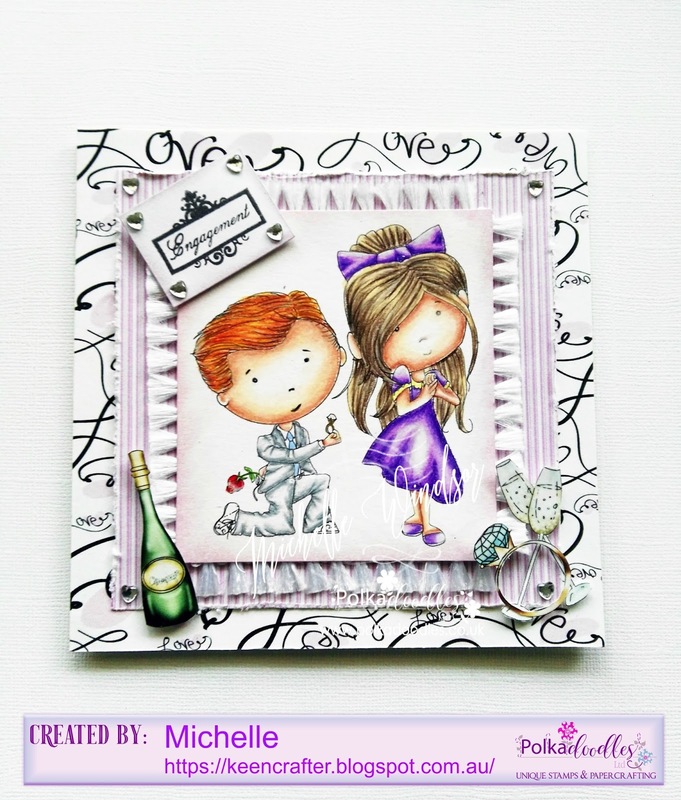 The papers are from the Belle Papillon paper pad and the sentiment is a stamp from the fab Build Your Own Male Sentiments set. Shylaa - I have used image, sentiment and frame from Horace & Boo collection. The image is watercoloured using camel water colour cakes. Vannessa - I used the Frosty Penguins image, papers and tree images from the Octavia Frosted Winter Collection to make a wintery birthday card. The sentiment is from the Winnie Sugar Sprinkles Springtime Collection as well. Please email us HERE, quoting the following code PD0wk01001 to claim your prize of $10 worth of downloads from the digi store. Claims must be received by 31/1/18, please refer to Challenge rules at top of blog. Please email us HERE, quoting the following code PDwk01123 to claim your download voucher from the digi store. We'll be back on Friday 26th January with a brand new challenge, but make sure you head over to the DIGI CHOOSDAY CHALLENGE HERE where you can also join in their weekly challenge too.. Closing date for entries: Fri 18th January, Noon. Max 2 entries per person, no backlinks. Angie J - I have used a pre-coloured image, digital patterned paper, digital image and sentiment to create my card for you. All these elements are from the gorgeous Work & Play 9 - Love & Kisses Collection. 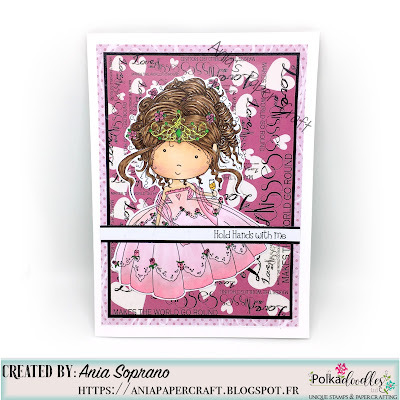 Anjie - I have used the beautiful Belle Papillon collection to make this card. I used a paper, a sentiment in a frame, a few butterflies, a frame and the flowers embellish. I fussy cut the embellish and sentiment out and mounted them on to 3D foam.I matted to paper onto black card and spit it into two to add a bit of extra interest and there you have it. Tina: Mine couple in love takes a romantic trip in a sailboat. I used a couple from the Set Work & Play 9 - Love & Kisses. You can also find all the paper, suitcases and sparkling wine in this great bundle. There is a box under the boat where you can perhaps hide something to nibble? More details you find on my blog. We'll be back on Friday 19th January with a brand new challenge, but make sure you head over to the DIGI CHOOSDAY CHALLENGE HERE where you can also join in their weekly challenge too..
We are thrilled to announce that we are returning to a WEEKLY CHALLENGE again! Closing date for entries: Fri 12th January, Noon. Max 2 entries per person, no backlinks. The winners of Week 49 & Week 50 are at the end of this post. 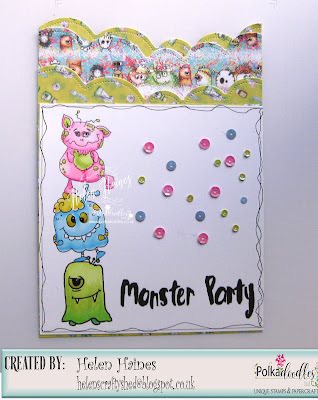 Ruth: I've used these really pretty acrylic stamps from Stampin' Unicorn (Polkadoodles stocks their products) - Tall and Elegant. 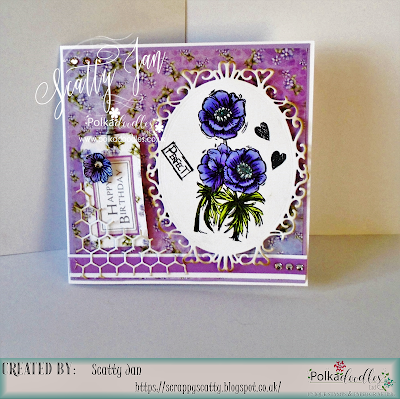 I've stamped the image directly on to some off cuts of card stock and then coloured them with Aquamarkers plus added some glass embellishments to the flowers. The papers are all from the Stampin' Unicorn Butterfly Dreams 6x6 paper pad and I've used a Thank You stamp that I found in my stash to finish off the cards. 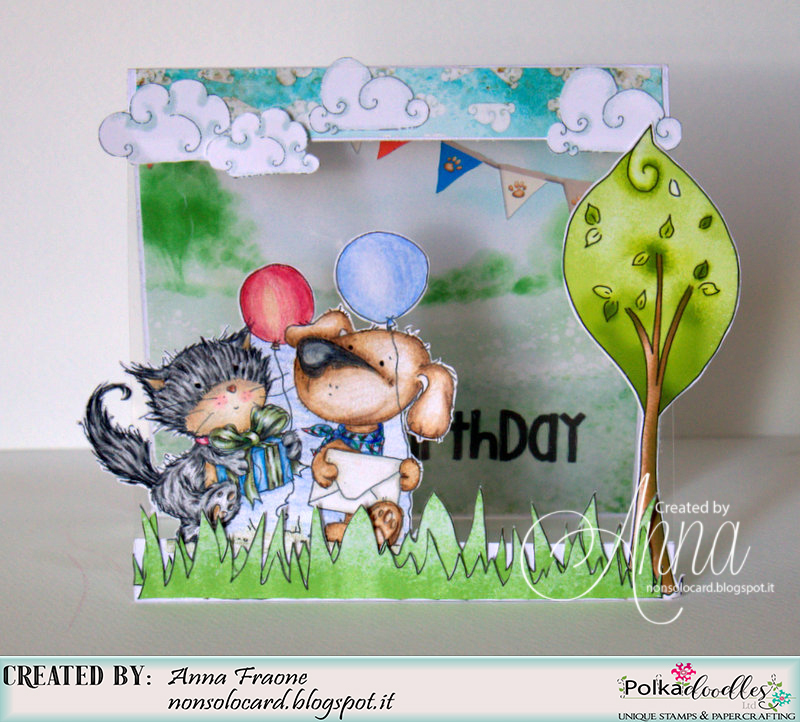 Anna - For this thank you card I used two papers of the Love & Kisses collection and the flowers of Horace and Boo. The sentiment is cut out from this sheet of very nice scrabble letters. 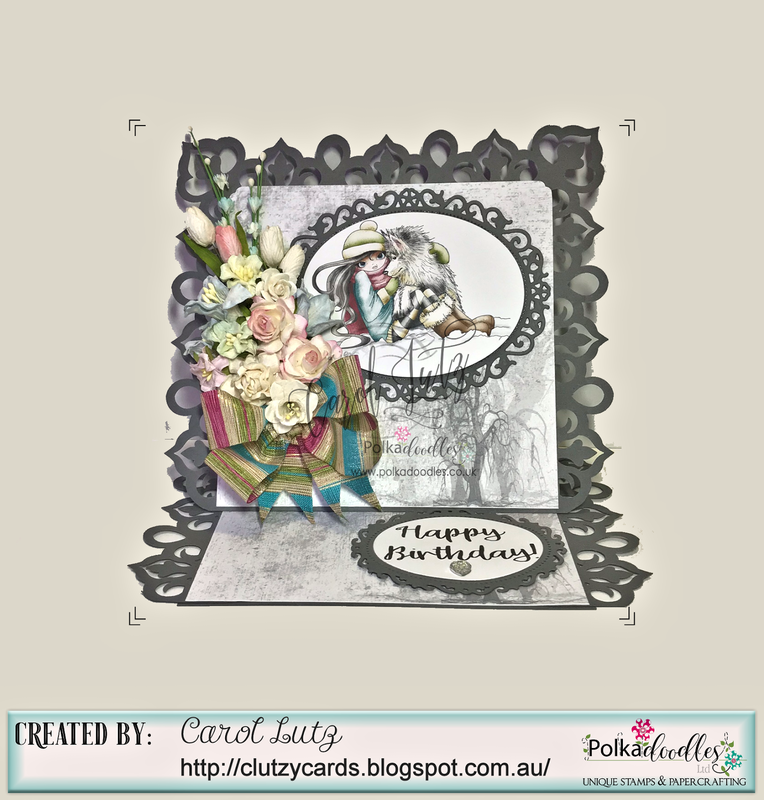 Carol - For my Thank You card, I made a box card with flowers and background papers from Helga and Belle Papillon Collections. Lisa - I've used a sweet Winnie image, available HERE, to make my thank you card. She's coloured with copics, and the papers and scrabble letters are from the Work & Play Love & Kisses set. Vannessa - I made a shaped card for today's challenge using the adorable Winnie Sugar Sprinkles Just For You and patterned papers from the Winnie Wednesday Halloween Collection as I thought the colours went really well together with those I used to colour her. 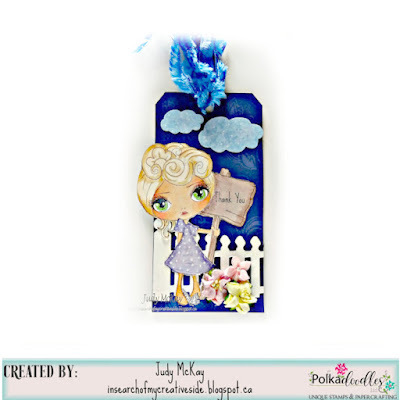 Judy - I made this tag for this weeks challenge using the cute digi from the January downloads called See the Sign. 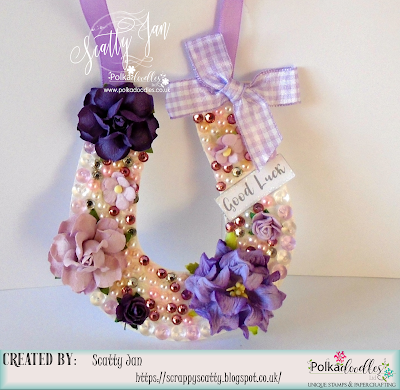 I love this image because you can add whatever message to the sign you like, great for all occasions. I added a fence, flowers and clouds to complete the tag. 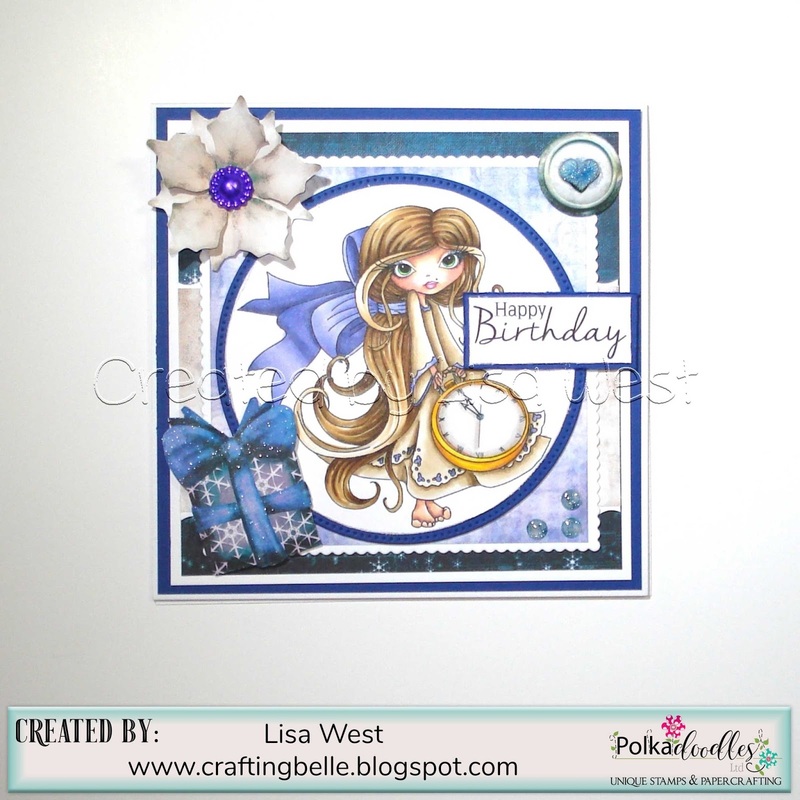 Jill Tiffany ~ I made a card from Winnie Sugar Blossom Kit, and write by me for the Thanks. Please email us HERE, quoting the following code PD0wk50001 to claim your prize of $10 worth of downloads from the digi store. Please email us HERE, quoting the following code PD0wk490123 to claim your download voucher from the digi store. Please email us HERE, quoting the following code PD0wk500123 to claim your download voucher from the digi store. We'll be back on Friday 12th January with a brand new challenge, but make sure you head over to the DIGI CHOOSDAY CHALLENGE HERE where you can also join in their weekly challenge too..